I will be honest with you, I am far from being a designer. Oui, I like my house to look nice and tidy, but I am quite boring when it’s about decorating the place. We moved in this flat in 2014 and we are yet to buy some trendy art pieces and paintings to make the Frenchie House fabuleuse. 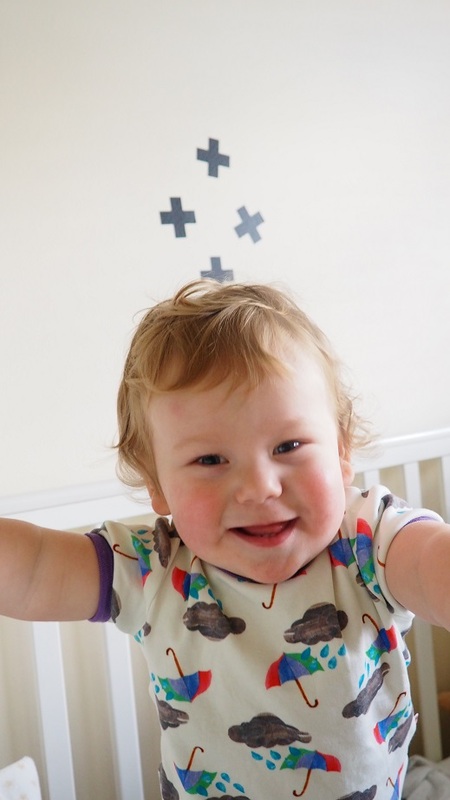 So when Inkmill Vinyl got in touch with me to review their new nursery collection, I jumped on the occasion and thought it was my chance to be a trendy maman! I hope you will enjoy our Inkmill Vinyl review and don’t forget to enter our giveaway at the end! 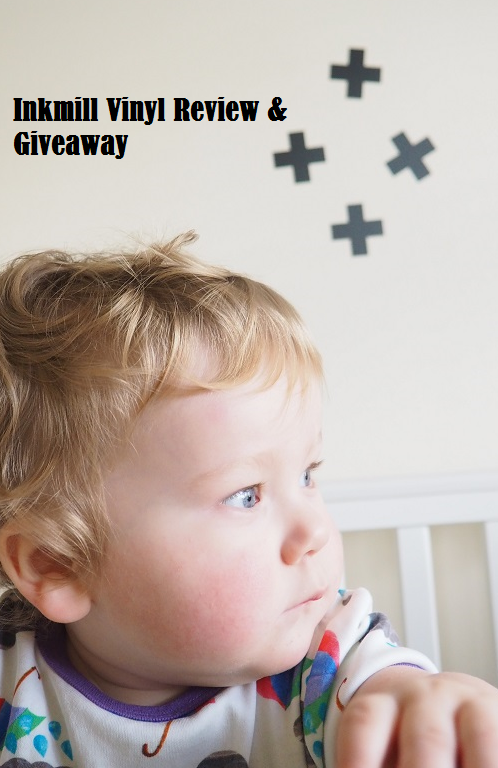 You are in to win a very Frenchie children’s height chart! Inkmill Vinyl is a fantastic website where you can find anything fancy to redecorate your place. 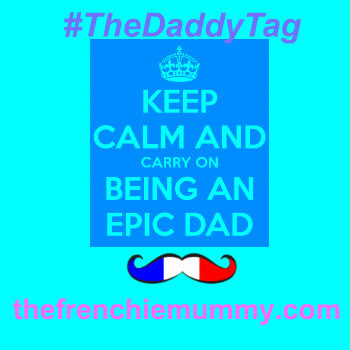 Their fantastic online design tools enable anyone to become a designer, even Frenchie Mummy and Grumpy Boyfriend! I mean, we are far from being arty and original and yet, we managed it! Even Baba who is barely 1 year old took part in the project! If you are looking to redecorate your house on a budget, DIY wall art transforms your home from drab to gorgeous. Use unique designs from Inkmill designers or design your own and it’s done for you! Their easy, inspiring, high quality custom vinyl stickers for windows, walls and more are great! They have such a lovely selection! Choose a category of your choice on their website and you are up for it! The service is very personalised. Trust me, there is nothing better than feeling trendy and unique! I was always rubbish at art. Mais I managed it! Applying our stickers was very easy and the result was very profesionnal. When our package arrived, a very facile manual was enclosed. Just follow those easy steps and you are done! Position your vinyl to where you want it applied. Make sure it is straight and fix it in place at the top edge with masking tape. Once your vinyl is correctly in position lift it upwards so it is upside down facing the wall above. Start from one of the bottom corners and carefully peel off the backing sheet from the underside leaving the vinyl attached to the application sheet. Peel away the application sheet. Even Baba and I managed it on our own. We started simple and Baba was part of the fun! I always dreamed about having a height chart in Baba’s bedroom. When Inkmill Vinyl contacted us to review some of their products, I immediately knew that I wanted to try this very Frenchie wall sticker. You can have the colour of your choice. I decided to have it in black. A monochrome version is always a good choice and Baba’s room is quite neutral. I always tried to avoid making it too boyish. I honestly can’t think of a better way to decorate the baby’s room. 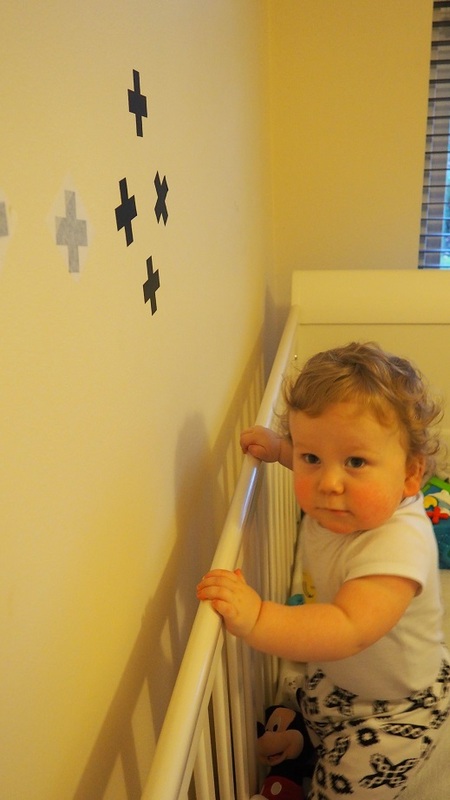 Wall stickers are really easy to use and equally facile to remove once you want to change the decor! You can pick from a large choice on the website or even create your own if you have something precise in mind. 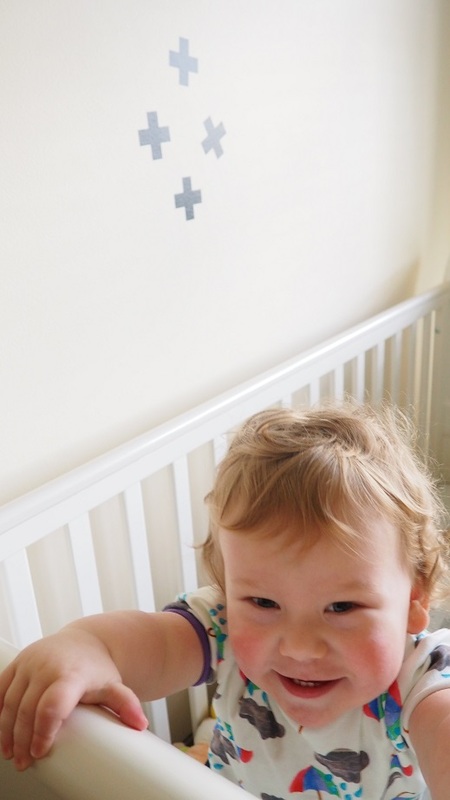 Why did we like our Inkmill Vinyl Wall stickers? But also the size, the colour and the type of design. Isn’t it parfait?! Actually, we loved so much this product that we teamed up with Inkmill Vinyl. 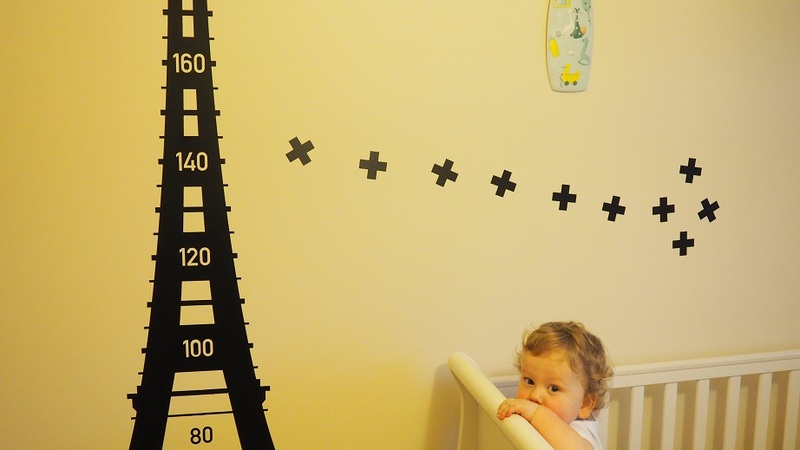 One of our lucky readers will win a Tower Eiffel Chart Wall Sticker to transform their nursery into a Frenchie art room! 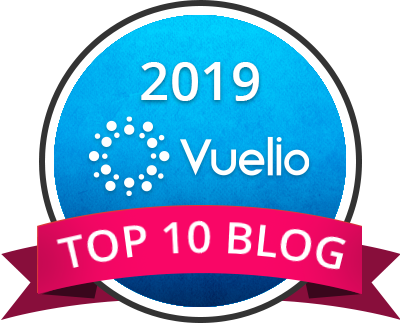 We know that you are dreaming to win it, especially after reading our Inkmill Vinyl Review! Enter via Gleam below for a chance to win this fabulous prize worth more than £39. This giveaway starts on Sunday 26th February at 10 am and ends at midnight on Monday 20th March 2017. Disclosure: we were kindly provided with those products by Inkmill Vinyl for the purpose of this review. All opinions are my own. I’d love this for my little boys nursery! Great addition for my nieces bedroom. Fingers crossed. I love this! 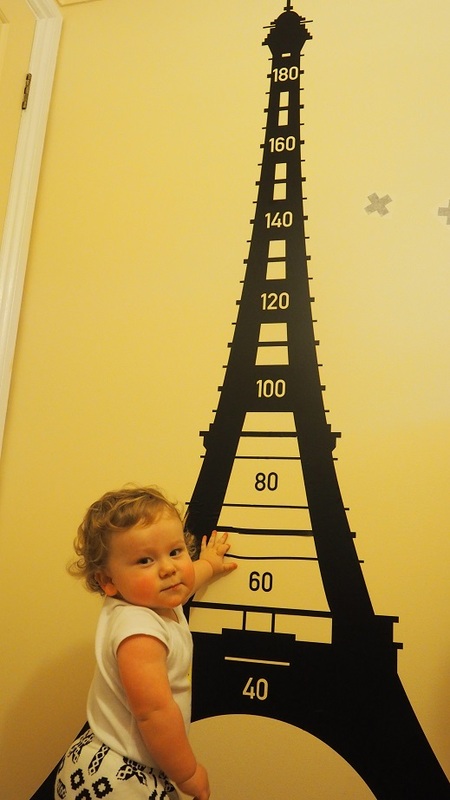 My son is obsessed with the Eiffel Tower so this would be a perfect way to chart his height! Lovely prize. This looks really cool and my little one would love it. Fantastic prize ! Fingers crossed ? This is fab love it!